In a previous blog entry we remarked on the latest data infographic showing the increasing complexity of the (big) data landscape. As companies continue to invest further in digital services and products under the banner of digital transformation it becomes increasingly difficult to make sense of all this data and translate into valuable insight. A recent report shows that digital transformation is top of the agenda for most businesses and is seen to be a key driver for growth. Coupled with the increasing complexity across the digital technology landscape, both from new solutions, new vendors and acquisitions, there is a real danger that data just gets more siloed or indeed ring-fenced into walled gardens. Either way, the ability to gain value from that data relies on a strong vision for a data strategy as discussed in our previous blog and it often seems that detective work is needed to extract that value. So, in this increasingly fragmented marketplace, how do businesses make sense of data and converge on a single source of truth that the business can use to measure digital performance? The famous detective Sherlock Holmes once said “It is a capital mistake to theorize before one has data.” – so ahead of time he was definitely thinking about a data strategy, albeit he wasn’t necessarily thinking about the proliferation of digital data! Another quote, “You see, but you do not observe. The distinction is clear”, points to something a little bit more subtle – the ability to generate some insight and some value from the ability to measure. As customers travel across websites, social platforms and mobile, each and every interaction can potentially leave a footprint behind upon which we can build up some knowledge of how these varied services are consumed. Typically, when trying to measure success, businesses usually converge around a small number of KPIs. How these KPIs link together and how they were arrived at is usually a story in itself! For example, a business that offers free delivery for potential customers might in the short-term shift conversion in the right direction, but down the line could negatively impact on fulfilment metrics, resulting in delayed orders and lowered NPS. Or maybe that drive to acquisition has resulted in the mix of customers becoming skewed and so LTV is reduced. So while these might be good metrics to measure, the key point is that they should be aligned around business outcomes that are themselves reflected in the core strategy of the business. It is not enough just to invest in tools and technologies to capture the breadcrumbs that customers leave behind in the form of digital analytics data and hope that this leads to an understanding of the customer or helps you to recommend digital improvements. This is where a measurement framework becomes useful! Measurement frameworks provide the ability to organise data around a set of measures that translate into KPIs which are meaningful, actionable and insightful. Of course there are many ways a framework can be constructed but there are a few simple considerations that should point you in the right direction. First of all, it’s generally a good idea if your measurement is founded from the top down in the overall business strategy. What are the key commercial drivers? What is the purpose of the each of the channels customers can interact with? (Even better if the business strategy actually encourages and promotes analytics and measurement….) Once these are defined then you can focus on clear objectives originating from the business strategy such as “grow online audience”. Almost there! Finally, related to these objectives are clearly defined metrics – things which are tangible and measurable such as “reduce marketing costs per new visit”. So far, so good and all standard stuff. However, how can you be sure that you have the right metrics and ultimately the right KPIs? Sure, they might be descriptive, diagnostic and predictive but how can you be sure they are truly scalable and relevant? One smart thing to do is to focus on the services the business manages as a whole and ultimately how customers or potential customers might interact with these services. The benefit of thinking in terms of customer personas is that it enforces a view of customer segmentation straight away. Any analytics output worth its salt will obviously need the right metrics to be available and to be filtered by the right customer segments so that the insight can be focused around specific business needs. Another key benefit is that you avoid the pitfall of the ‘elastic user’. By thinking about the business objectives across all relevant business stakeholders you create a natural balance in the measurement framework by ensuring that there is a shared understanding ‘of what a customer is’ across business units. Also, by aligning simultaneously across business and customer, a natural agility in the process is created where a new service, a new design or a new marketing push can all easily be accommodated into the measurement framework – you are always able to track back to understand what each metric relates to and how to modify it if needed. And so finally, you have a measurement framework which is scalable, efficient and relevant! Increasingly, digital transformation is setting the agenda for how companies spend money on enterprise software to track digital performance as a recent Gartner report shows. The good thing is that no matter what the toolset or vendor the principles above are universal. And whatever the choices that are made in terms of that toolset or vendor, getting that measurement framework defined ahead of time will help you get to the top of the analytics maturity curve. 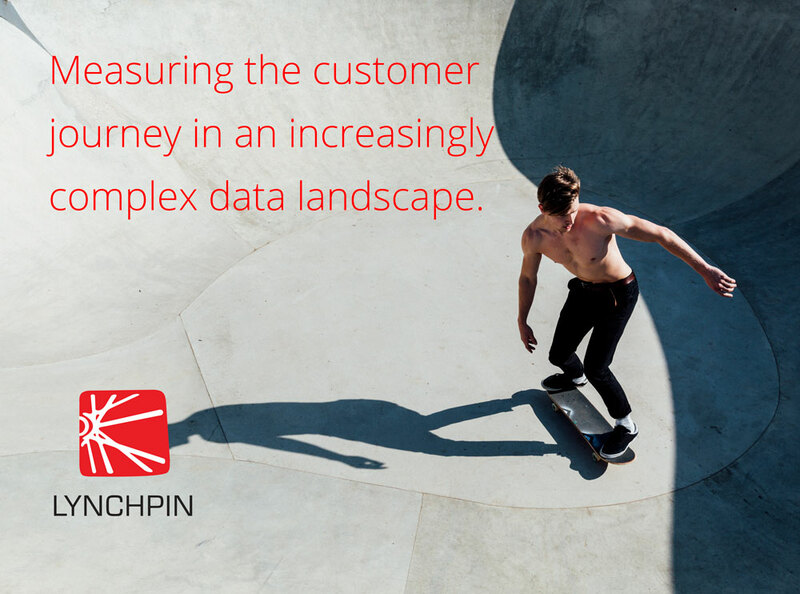 At Lynchpin we specialise in working closely with businesses to help them unlock value from their analytics investments. Spending some time to think from a customer perspective and then embedding that into the way you collect and report on data will result in big dividends through delivery of accurate, relevant and confident reporting. As someone once said a long time ago, “the littlest things are often the most important”.